Where Have All The Good Times Gone Trailer: The Meyerowitz Stories (New and Selected)! Moah Baumbach’s The Meyerowitz Stories (New and Selected) is the emotional and comic intergenerational tale of adult siblings contending with the long shadow their strong-willed father has cast over their lives. An Official Selection of Cannes Film Festival 2017, the film will make its North American premiere at this year’s New York Film Festival before premiering in select theaters and on Netflix on October 13th. Relaxing Trailer Remix: Zoolander 2! Zoolander 2 may be bringing back the dimmest pair of male models in history, but that’s no reason not to relax – as in Evil DJ’s Zoolander Relax Remix video (lounging about on the other side of the jump). Zoolander 2 opens on February 12th. Zoolander 2 – Models vs. Spies? Yes, the boys are back in Zoolander 2 – and there’s a new trailer to showcase their stultifying dimness. Check it out after the jump. Zoolander 2 opens on February 12, 2016. Ben Stiller returns to single best running gag of his career in Zoolander 2 – and yes, the model with the Blue Steel pose is still dumber than a sack of flying mallets. Check out the new teaser for Zoolander 2, following the jump, for proof. 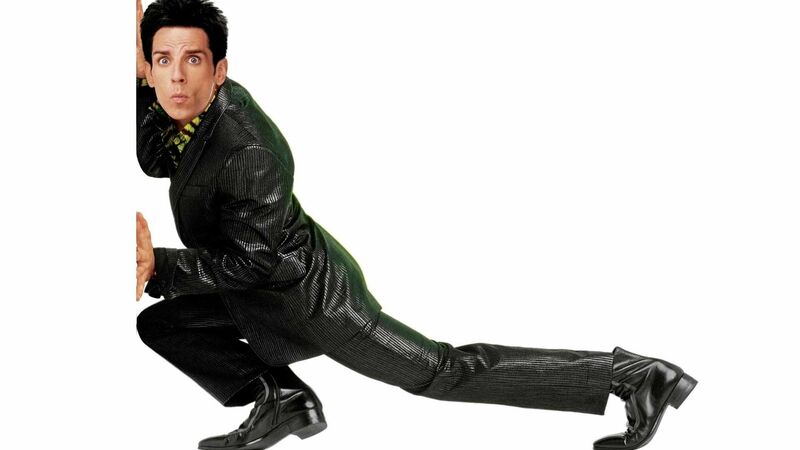 Zoolander 2 opens on February 12th, 2016. While We’re Young – Coming Of Middle Age! 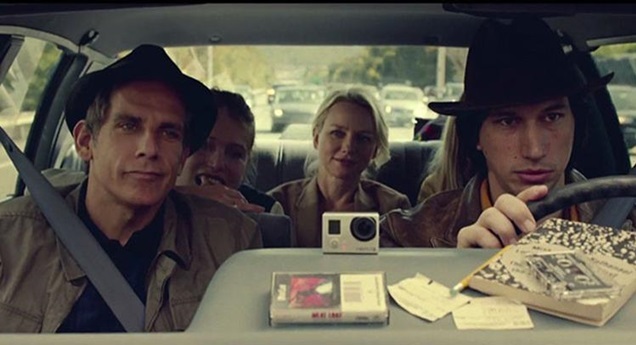 While We’re Young may not be Noah Baumbach’s best film (I can’t quite decide between Margot at the Wedding, Frances Ha and The Squid and the Whale), but it is certainly his most enjoyable – and commercially viable. It’s the story of a fortysomething couple who begin hanging around with a twentysomething couple and learning some things about themselves. Zoolander 2 Announced During Paris Fashion Week! ‘Blue Steel’ is back! 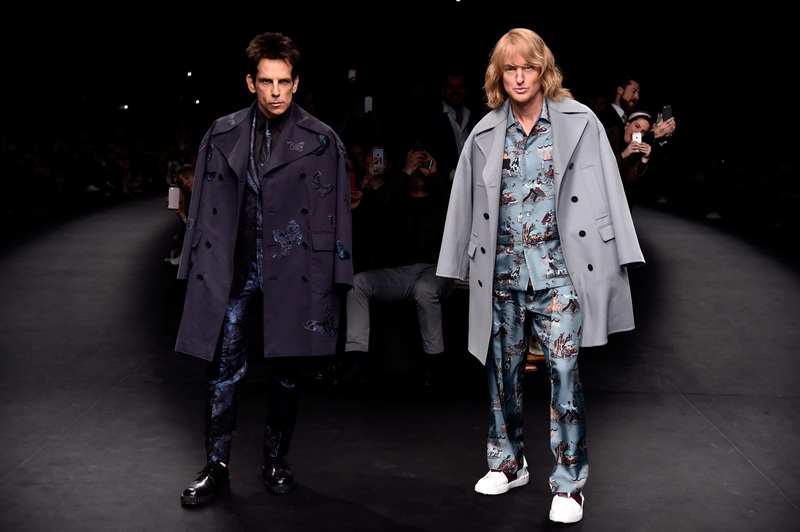 Derek Zoolander and Hansel dominated the Valentino Fashion Show during Paris Fashion Week as Zoolander 2 was announced. Zoolander 2 will be in theaters on February 12th, 2016. For more, follow the jump. Remember Dan Harmon, creator of NBC’s Community (now on Yahoo), was fired from his own show? Well, after being canned, he took a bit of time to take his disappointment, rage, cynicism and ironic wit on the road. The result is the odd documentary Harmontown. 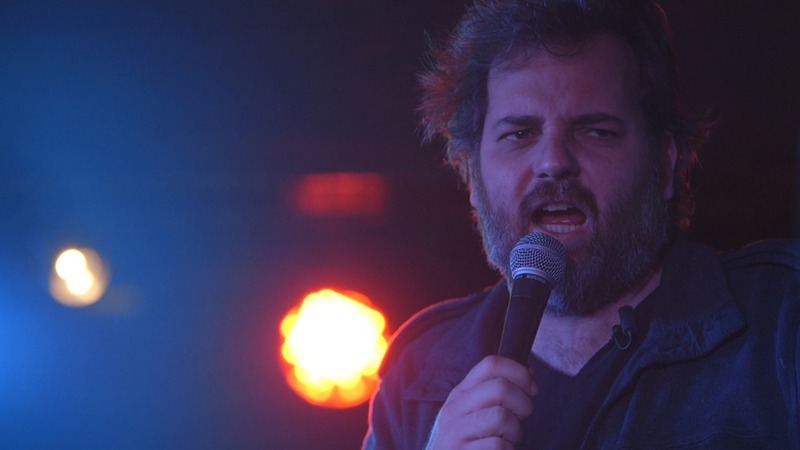 Check out the first trailer for Harmontown after the jump. Harmontown will open in L.A. on October 3rd and be available on VOD on October 10th. Comfortingly Funny Trailer: Night at the Museum: Secret of the Tomb! The crowd-pleasing (if not critically appreciated) trio of Night at the Museum movies come to a close with Night at the Museum: Secret of the Tomb. 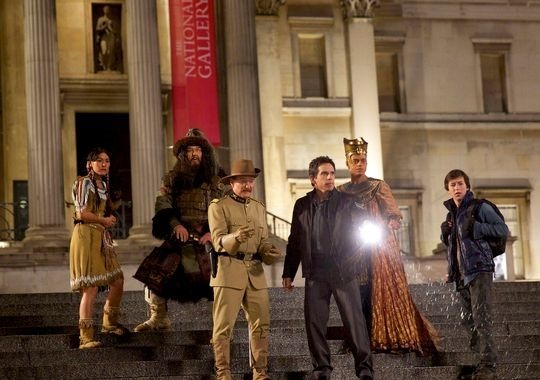 This time, Security guard Larry (Ben Stiller) and his lively assortment of historical figures (Robin Williams, Ben Kingsley, Owen Wilson, et al) must journey to London, England when the magic that brings the museum to life at night appears to be waning. Night at the Museum: Secret of the Tomb comes to life on December 19th. NBC has ordered six episodes of Bear Grylls’ new celebrities in the wild series Running Wild with Bear Grylls. Each week, Grylls will take a different celebrity into the wild for 48 hours. Celebrities set to take part are: Tom Arnold, Zac Efron, Tamron Hall, Deion Sanders, Ben Stiller and Channing Tatum. 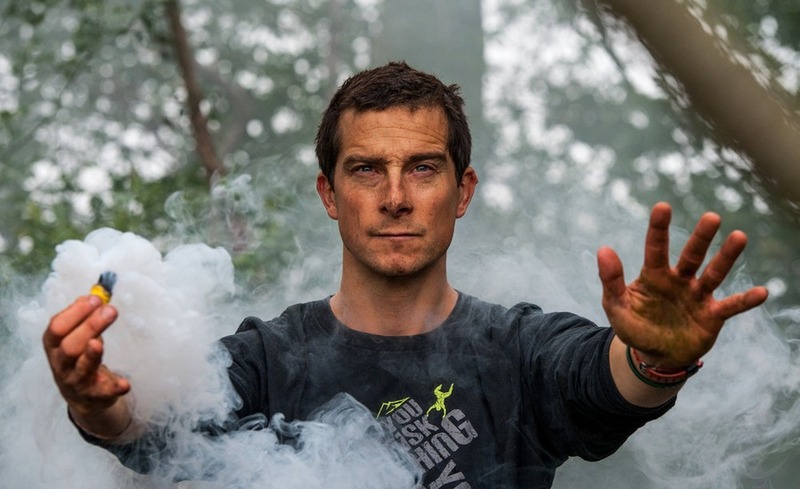 Running Wild with Bear Grylls will premiere on Monday, July 28th. For more details, check out the press release after the jump. 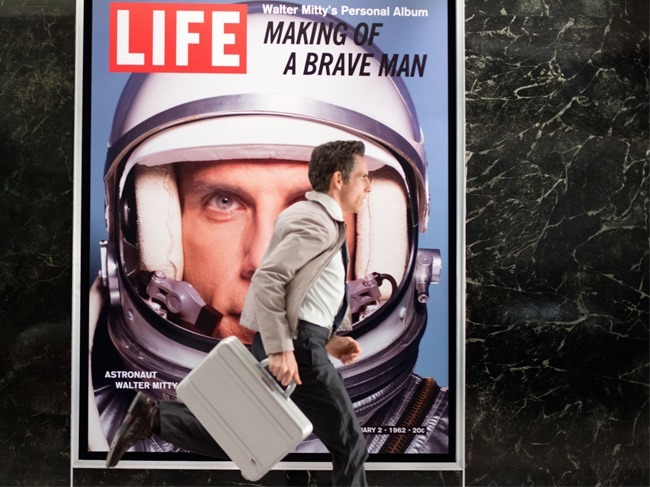 Hot Trailer: The Secret Life of Walter Mitty! Ben Stiller’s reimagining of James Thurber’s classic short story, The Secret Life of Walter Mitty has a new trailer that digs a little deeper into Walter’s not-so-spectacular real life and the impetus for his first real adventure. Check it out after the jump. 20th Century Fox’s The Secret Life of Walter Mitty opens on Christmas Day. Daydreams and Fantasy Fuel The Secret Life of Walter Mitty! The Secret Life of Walter Mitty hit theaters at Christmas.